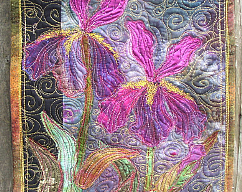 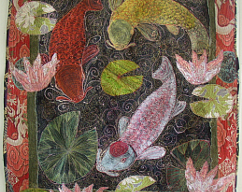 my name is Holly Garbutt ,I have been doing art all my life,for the last 20 years I have been doing Art Quilts. 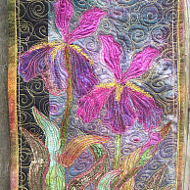 I got into quilting because I have 2 sons and you can't put a dress on a little boy.I do artwork seasonally in the spring I do cherry blossoms,daisy and irises ,Summer calls for giant sunflowers,Fall calls for pumpkins,"day of the dead. 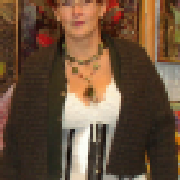 I really love to do art. 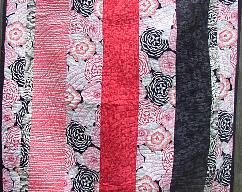 I will be posting some expensive stuff in the begining but in a little while I will be putting things at a smaller price.My work ranges from $5 to $1200.Thankyou for you kind consideration!!!! 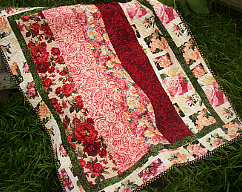 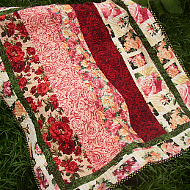 !I WILL be posting quilts that are under $50 dollars later today,please come back and visit.